A better exchange calculator; a cool recipe calculator. One of my biggest fears is not eating enough while I’m dieting. That’s been my pattern for ages. I get too enthusiastic, I eat too little, I grow extremely hungry and then I binge. In order to have data on what I eat, I’ve been logging what I eat. If I eat something, I write it down and eventually put it in a log file. Recently, I spoke with a nurse that’s helping me manage my issues and yes, after reviewing my food logs I’m not eating enough. More precisely, I’m eating too many fruits, and not enough proteins and fats. When I looked at the amount of protein I should be eating, I was really suspicious. Maybe I’ll get used to it in a few days. After playing with the diet numbers just given to me, and finding once again I can’t plug in ADA exchanges into the ExRx calculator and get them to work, I found an exchange calculator that does work. 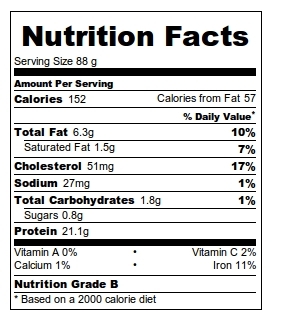 I can plug in ADA designed diets into this one and get numbers that agree within 10 calories. Though not an exchange calculator per se, you can plug ingredients from a recipe into here and get a good looking nutrition facts style output. The output below is for 8 ounces of pan fried steak, with onions and mushrooms, fried in olive oil and portioned into 4 servings. THANK YOU! I just clicked on both links and this appears to be what I am looking for. Since Weight Watchers stopped counting food exchanges and went to points, I just couldn’t get my head wrapped around it. Yes, it is easy, but now being a diabetic, I need to us the food exchanges (and food exchanges is what I used to lose a lot of weight). I will be trying this out and hopefully this will be my saving grace. The Riverflag calculator is really good, but I’m not 100% certain if that site will stick around. Just in case, I’ve written a diabetes exchange calculator in Perl, using the Tk toolkit, and that one is here.